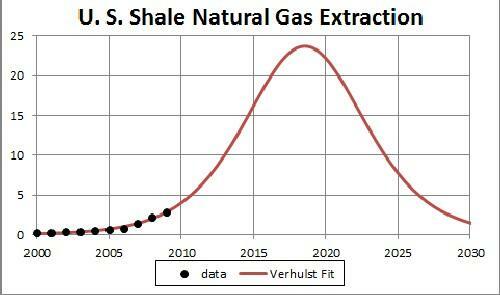 According to our study, coal and gas production will reach their respective production peaks around 2020. The combined peak of all fossil fuels will occur a few years earlier than the peaking of coal and gas and will almost coincide with the beginning decline of oil production. Therefore, the decline of oil production – which is expected to start soon – will lead to a rising energy gap which will become too large to be filled by natural gas and/or coal. Substituting oil by other fossil fuels will also not be possible in case gas and coal production would continue to grow at the present rate. 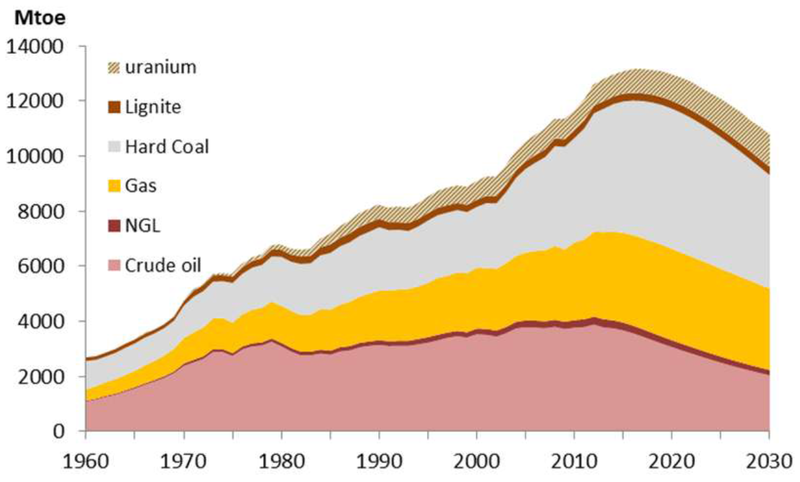 Moreover, a further rise of gas and coal production soon will deplete these resources in a way similar to oil. P.S. The report does not mention methane hydrates. Reason: unusual cold weather, the breakdown of a pipeline with Belgium and most important, surprisingly little gas storage capacity. One expert said that Britain had less than 36 hours left and that rationing was a real possibility if the cold weather would continue. Gas prices increased with 50% overnight. Gas stores are 90% empty. 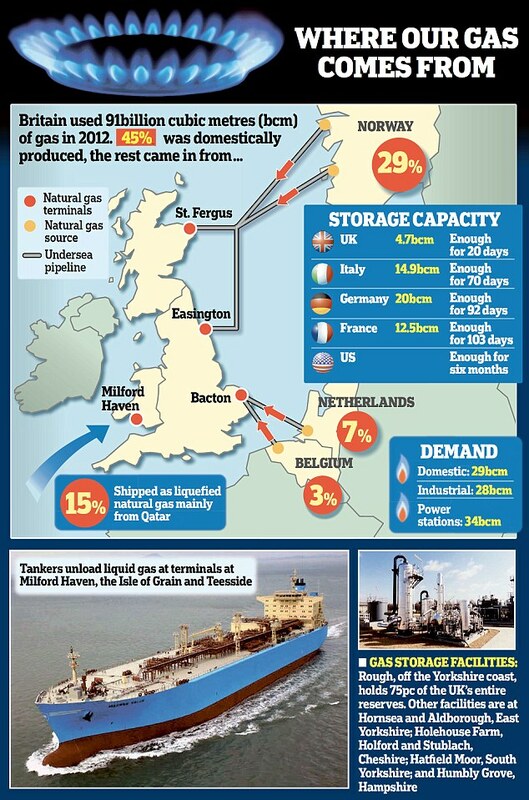 Britain’s only sources are pipelines from Norway, Holland and Belgium as well as liquid gas from Qatar. A trip from the Middle East takes about 2.5 weeks. Sometimes the destination changes at full see, because some other country is willing to pay more. Power stations will be the first to be rationed, households last. International comparison storage capacity in days: UK-20, Italy-70, Germany-92, France-103, USA-180, Holland-23,000. Youtube text: Benoît Thevard presents the conclusion of the report “Europe facing peak oil” at the European Parliament in November 2012. 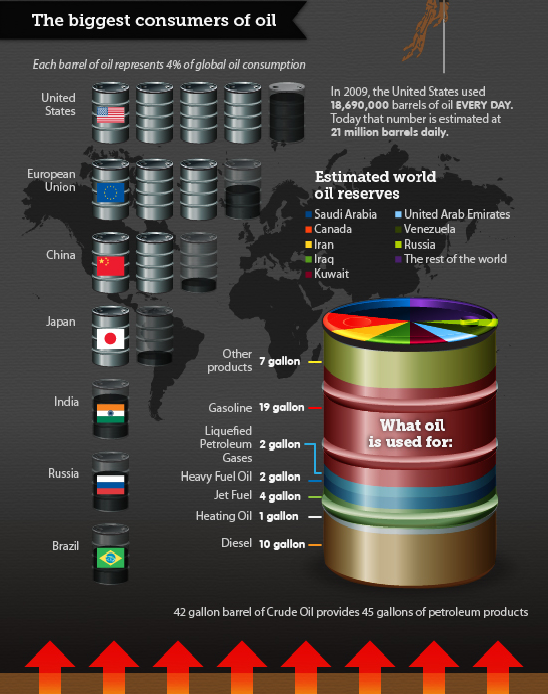 This study, commissioned by the MEP Yves Cochet, aimed to clearly redefine the contours of the oil situation, to place them in the current geopolitical and economic contexts, and to consider the potential impact on Europe (uploaded March 1, 2013). 81 hp, topspeed 84 mph, 0-62 mph in 14 seconds, 18.7 kwh battery, enough for 90 miles. 80% charge in 30 minutes. Expected autumn 2013. Let’s calculate… 18.7 kwh * 20 euro cent = 3.74 euro ‘fuel price’ for 90 miles. A Dutch train ticket covering the same distance would cost about 18 euro. Government subsidies (650 euro max. ), ever lower solar panel prices as well as low VAT tariffs, have induced the Dutch to embrace local production of electricity and harvest kilowatthours simply from their own roofs. Typical investment for 100% selfsufficiency: 4500 euro. In combination with zero net payments to utilities companies (Dutch feed-in tariff system described here), this comes down to a return on investment of a spectacular 17%. Currently a solar kwh costs 7 cent, dramatically lower than the 23 cent for a kwh from the grid. In Holland, the birthplace of modern capitalism (17th century), people can calculate. Currently 100,000 roofs are covered with solar panels, 6.9 million more roofs to go. Timothy John Berners-Lee came up with the HTTP protocol in 1989 and it took six years before the internet started its meteoric rise in 1995. Then it took another six years before the first signs of internet saturation appeared with the popping of the .com bubble in 2001. Holland was always at the global forefront of internet adoption (50% penetration in 2002), and it will not be different with the adoption of solar power, especially as with solar panels money can be made, in contrast to the internet. 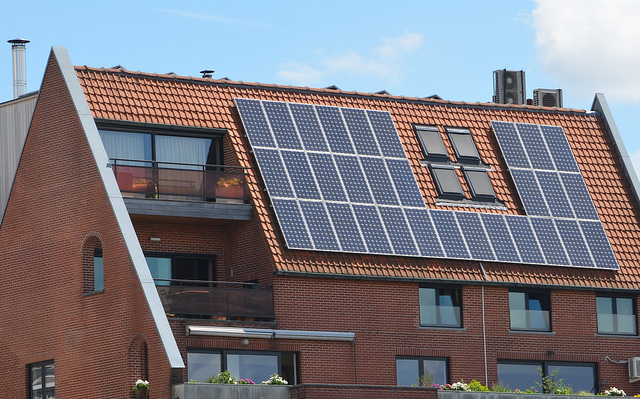 Although the Germans currently have a clear lead in a per capita adoption of solar compared to Holland, rooted in a geo-strategic motivation of energy independence and rejection of nuclear power, the Dutch will catch up quickly, from a financial motive. Expect financial service companies to emerge offering packages, where it will suffice for a household to make a simple phonecall in order to earn thousands of euro’s, without having to do anything but making coffee for the workers of the solar panel installation company and start paying monthly fees to the financial service company, which will more than compensated by the reduced bills from the utility company. Once two or three roofs in a typical Dutch street are covered with panels, others will follow quickly. Monkey see, monkey do. Prof. Dr. Klaus Wallmann (IFM-GEOMAR Research Center in Kiel) presented the SUGAR project. Launched in the summer 2008, the SUGAR project (Submarine Gas Hydrate Reservoirs) aims to produce natural gas from marine methane hydrates and to sequester carbon dioxide (CO2) from power plants and other industrial sources as CO2-hydrate in marine sediments. 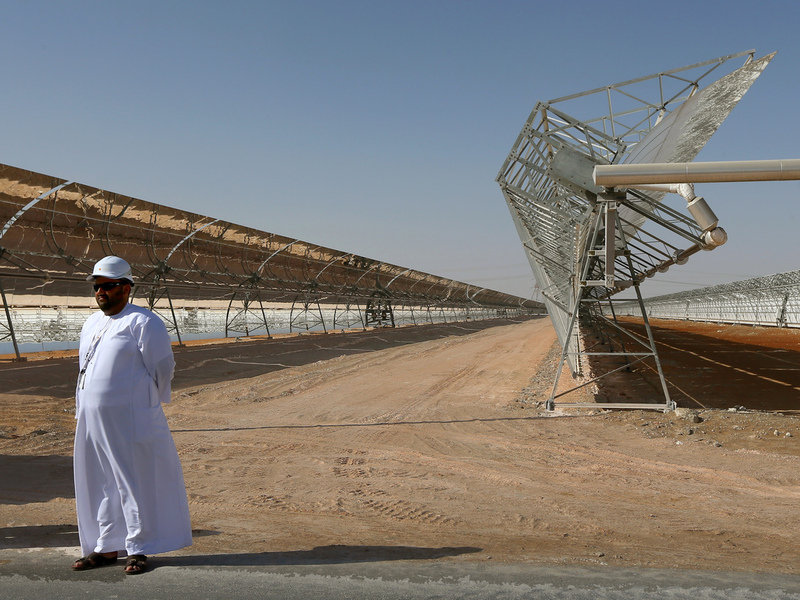 This large-scale national project is funded by two federal ministries and German industries. The total funding is 13 Mio. € over an initial funding period of three years. Klaus Wallman highlighted the existence of vast amounts of natural gas (methane) bound in marine gas hydrates (~3000 Gt of carbon) as large as the total inventory of carbon in all known coal, oil, and gas deposits. In addition, Prof. Wallman stressed the win-win nature of such a project as it combines methane extraction and CO2 injection in the seabed reducing the CO2 in the atmosphere. Additionally, recent studies showed that the methane hydrates are less and less stable due to increase of sea temperature liberating more and more methane. He concluded, however, that this technology is an early stage of development and would benefit from a European wide research effort as it is been the case in Germany. A mapping study on the location and potential of methane hydrates in the seas of Europe could be a good start. Fascinating to see in retrospect the early days of solar power (1976). It is inspiring to see how much of the promisses have actually been realized. 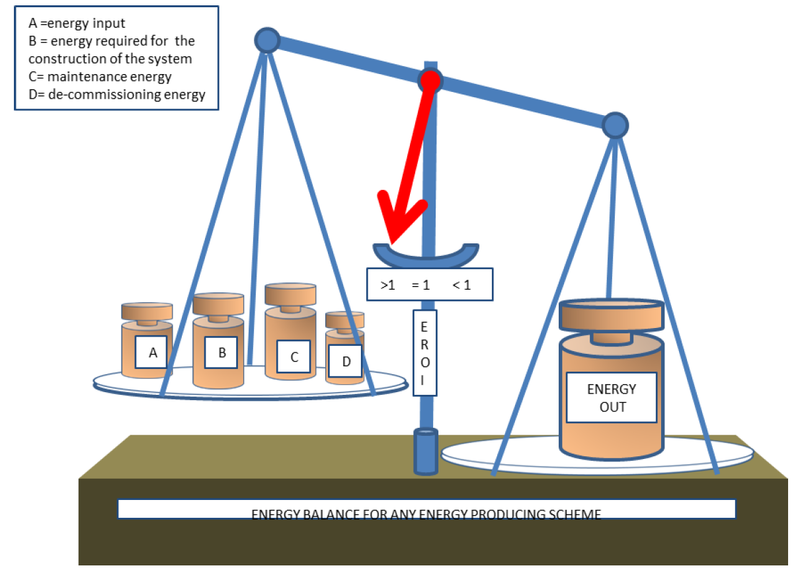 Far from dismissing this potential new energy source off hand, all risks need to be assessed first, before grand scale exploitation should be considered. Here a few pointers to articles highlighting the risks. Meet methane hydrates, the world’s most promising and perilous energy resource… Methane is the principal component of natural gas, and massive amounts of it are trapped in reservoirs beneath the sea floor and under a layer of the ice-like substance. The scale of the resource is spectacular. By some estimates, methane hydrates contain more energy content than all other known fossil fuels combined… Methane hydrates are frozen water molecules that trap methane gas molecules in a crystalline, lattice-like structure known as a hydrate. Unlike normal ice, hydrate ice literally burns — light a match and it goes up in flames. As temperatures rise or pressure rates fall, the hydrate disintegrates and the water releases the gas… A substantial amount of evidence suggests that weakening the lattice-like structure of gas hydrates has triggered underwater landslides on the continental margin. In other words, the extraction process, if done improperly, could cause sudden disruptions on the ocean floor, reducing ocean pressure rates and releasing methane gas from hydrates. 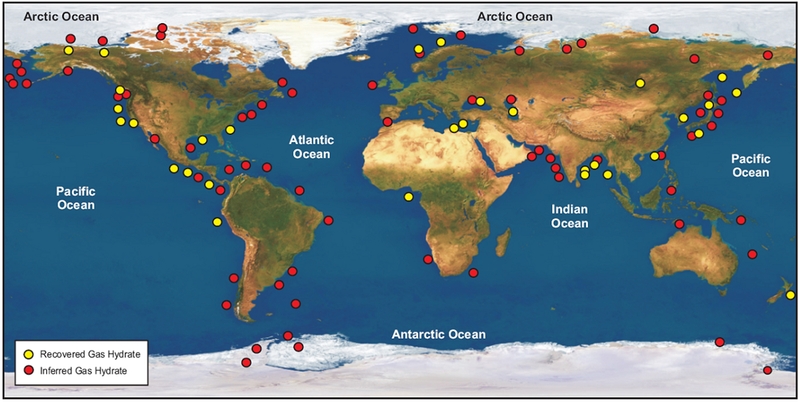 A mass release of methane into the sea and atmosphere could have catastrophic consequences on the pace of climate change. More than 50 million years ago, undersea landslides resulted in the release of methane gas from methane hydrate, which contributed to global warming that lasted tens of thousands of years. The potential rewards of releasing methane from gas hydrate fields must be balanced with the risks. And the risks are significant. Let’s start first with challenges facing mining companies and their workers. Most methane hydrate deposits are located in seafloor sediments. That means drilling rigs must be able to reach down through more than 1,600 feet (500 meters) of water and then, because hydrates are generally located far underground, another several thousand feet before they can begin extraction. Hydrates also tend to form along the lower margins of continental slopes, where the seabed falls away from the relatively shallow shelf toward the abyss. 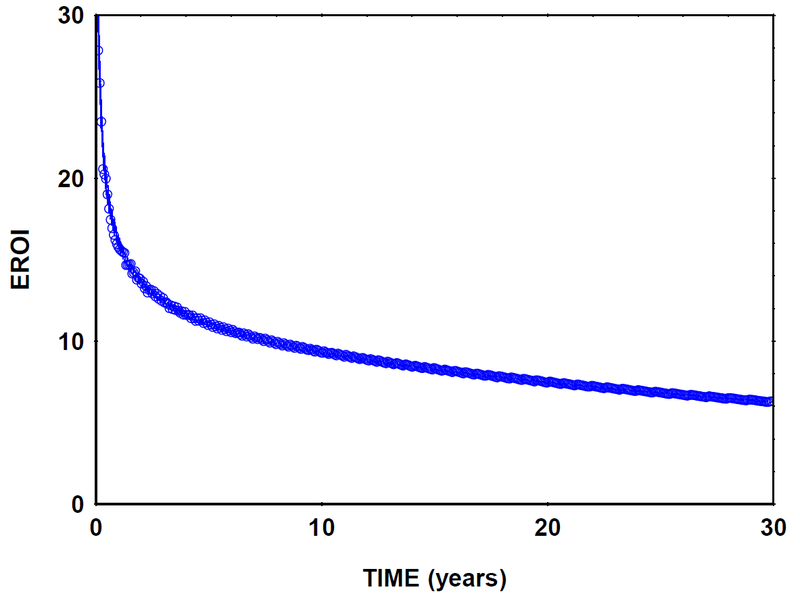 The roughly sloping seafloor makes it difficult to run pipeline. [japantimes.co.jp] – Methane hydrate energy solution? Raw methane released into the atmosphere produces a greenhouse effect 25 times more potent than carbon dioxide. So every effort must be made to ensure it doesn’t leak during extraction. MH21 says the decreasing-pressure method lessens the risk because the lower pressure in the wells allows gas released by methane hydrate under the seabed to flow up naturally, giving it little chance to escape. It has also been noted, however, that when methane hydrate decomposes, it can trigger landslides as the decomposing layer disappears, warping the seafloor. The impact of submarine landslides is still being studied, but they are known to occur on slopes. MH21 plans to drill only in flat layers until further studies shed more light on the risks. Youtube text: Katey Walter Anthony, a Water and Environmental Resource Center Researcher at the Univeristy of Alaska Fairbanks, fires off a plume of methane from a local Fairbanks pond in November 2009. The methane lies trapped within the ice and seeps from thermokarst lake sediments below (uploaded December 17, 2009). This topic is not necessarily an argument against methane hydrates exploitation, but it surely creates awareness of the presence of this potential new resource. The fear is that global warming and subsequent melting of arctic ice caps could release enormous amounts of methane into the atmosphere, with the potential to accelerate global warming. 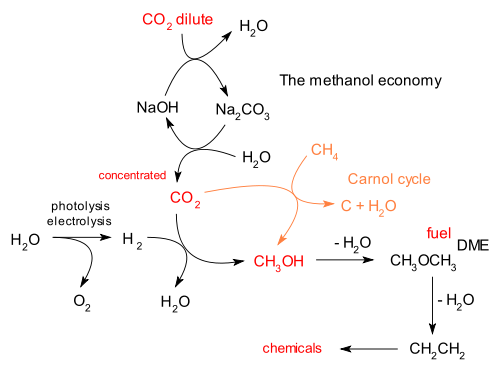 From Wikipedia: In the 1990s Nobel prize winner George A. Olah started to advocate the methanol economy and in 2006 he and two co-authors (G. K. Surya Prakash and Alain Goeppert) published a book around this theme. In these publications, they summarize the state of our fossil fuel and alternative energy sources, their availability and limitations before suggesting a new approach in the so-called methanol economy. The basic idea behind the methanol economy is to use methanol (CH3OH) as a universal energy storage medium, not unlike hydrogen in the hydrogen economy of former fame. Interestingly 1 m3 of methanol contains more than twice the amount of hydrogen than 1 m3 liquified H2. It could be used as a fuel for transportation as well as the input material for fuel cells. Methanol is liquid so it can be transported and stored easily and is in fact already used on a a large scale (37 million tons per year). Methanol can be efficiently produced from natural gas, coal, oil shale or tar sands but also from biomass and agricultural waste. But potentially the most promissing application would be the recycling of CO2, even from the atmosphere itself. As always there are disadvantages as well. Jesse Jenkins of the MIT picks up the story about a japanese firm which reported to have produced non-commercial quantities of methane from offshore methane hydrates. 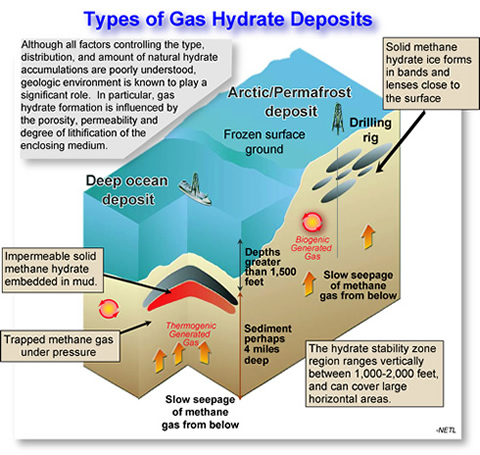 Methane hydrates are deposits of natural gas trapped within the crystaline structure of frozen water, leading some to refer to hydrates as “fire ice.” Estimates of the scale of hydrate resources are enormous, ranging from 10,000 trillion cubic feet (TCF) to more than 100,000 TCF. Methane hydrates may contain anywhere from 0.5-15 times more natural gas than all global shale gas deposits combined, although not all of this can be recovered economically, but the consequences for the energy market, not to mention the environment, would be staggering… dwarfing the so-called ‘shale gas revolution’. The total amount of methane hydrate in the waters surrounding Japan are estimated at more than 247 TCF, that is enough gas to supply nearly a century’s worth of Japan’s needs. 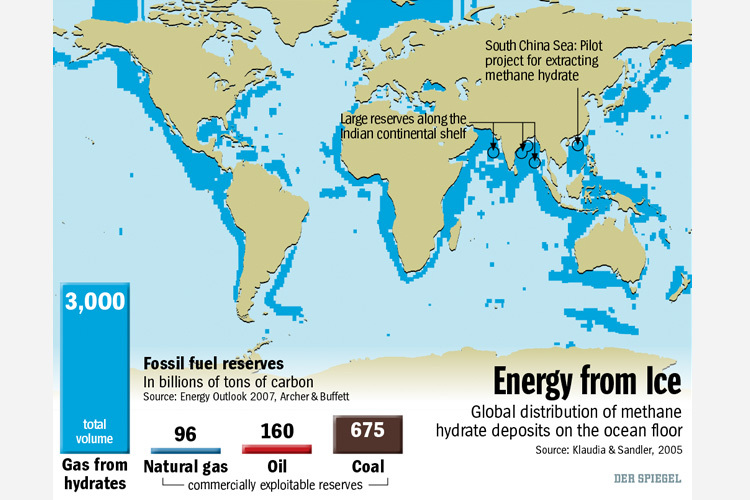 The good news is that relatively clean gas from methane hydrates could displace dirty coal, like in China and India, a process which is already taking place in the US. The bad news is that potentially there would be lesser restrictions on burning of fossil fuels with negative effects on global warming. Another big risk is leakage of methane into the atmosphere, an almost unavoidable side-effect of the production process. Methane is a very potent greenhouse gas. Nevertheless, since the Fukushima desaster Japan has increased investment in this field. We will be hearing a lot more from this theme soon. Youtube text: Ever bigger rotors, ever more powerful wind turbines, ever farther off the coast. The reason: Costs of wind energy need to be reduced. In order to achieve this, production, installation and operation are designed as efficient as possible. The installation ship “Sea Installer” helps with this. For the very first time, this custom-made superlative installed the new 6 megawatt wind turbine on the high seas. This is what pioneer work looks like. Some people believe that methane hydrates, located at the bottom of the sea, could be part of a future energy solution. Recently a Japanese firm reported that it had produced non-commercial quantities of methane from methane hydrates, present ca. 300m below the sea bed at 1000m depth near the Japanese coast.